Hi there, thanks for using Prott! You talked, we listened. We are happy to let you know that now you can easily duplicate hotspots across multiple screens! The copy & paste feature for hotspot gives you the ability to easily set up a common link that is reoccurring on multiple screens (such as a navigation bar, a home button or any navigation to a certain screen). You can copy & paste hotspots quickly by using two simple keyboard shortcuts. To copy a hotspot: Select a hotspot and press ⌘+C (Ctrl+C). To paste a hotspot: select the screen you want and press ⌘+V (Ctrl+V). The copied hotspot will be pasted to the same exact spot it was located on the original screen. You can also find these keyboard shortcuts under “Shortcuts” in the Help menu. You can also paste a single hotspot onto multiple screens at once. 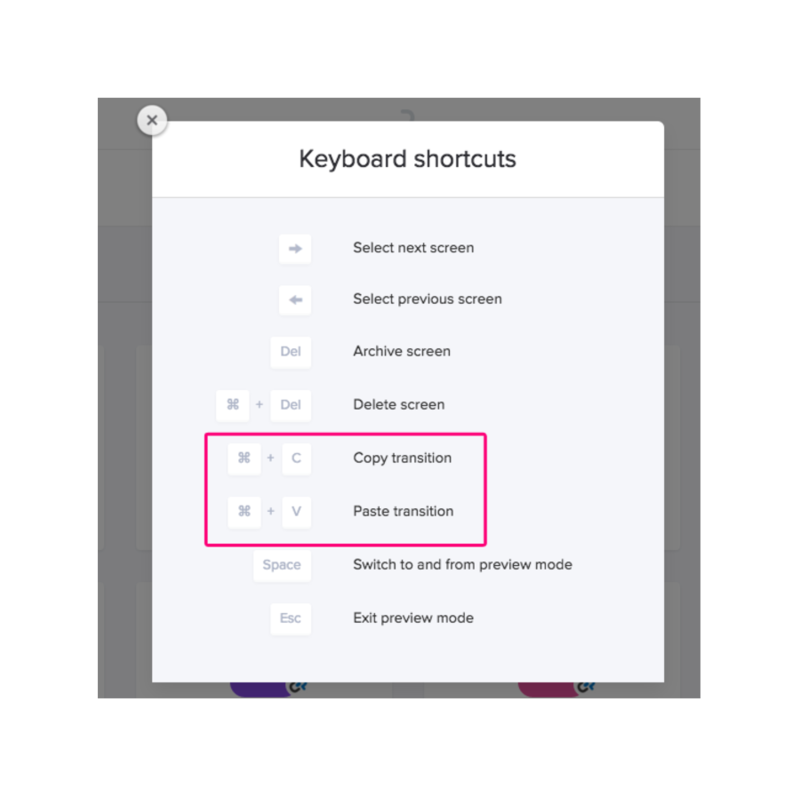 After copying a hotspot (⌘+C), simply hold the shift key while selecting your screens and press ⌘+V to paste. Please be advised that although this allows you to copy multi-gesture hotspots, you can only copy a single hotspot at a time. Stay tuned for future updates that will allow you to copy multiple hotspots at once! As always, thank you for being an active part in these big changes at Prott. Your opinion and feedback is very important to us. We are very much looking forward to hearing your thoughts on this feature and any other features you would like to see.